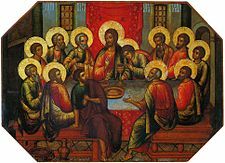 Maundy Thursday, also known as Holy Thursday, Covenant Thursday, Great & Holy Thursday, and Thursday of Mysteries, is the Christian feast or holy day falling on the Thursday before Easter that commemorates the Last Supper of Jesus Christ with the Apostles as described in the Canonical gospels. It is the fifth day of Holy Week, and is preceded by Holy Wednesday and followed by Good Friday. 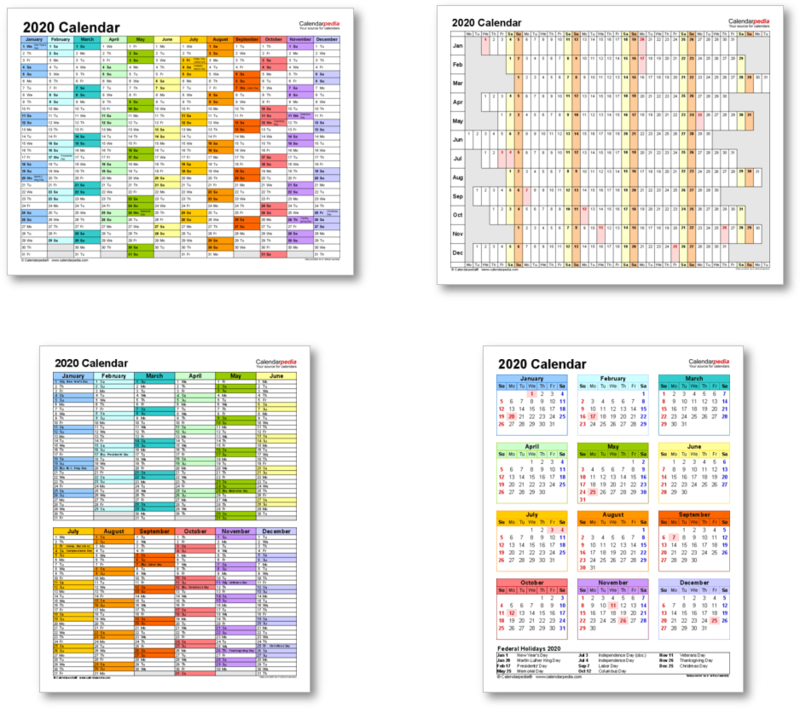 The date is always between 19 March and 22 April inclusive. 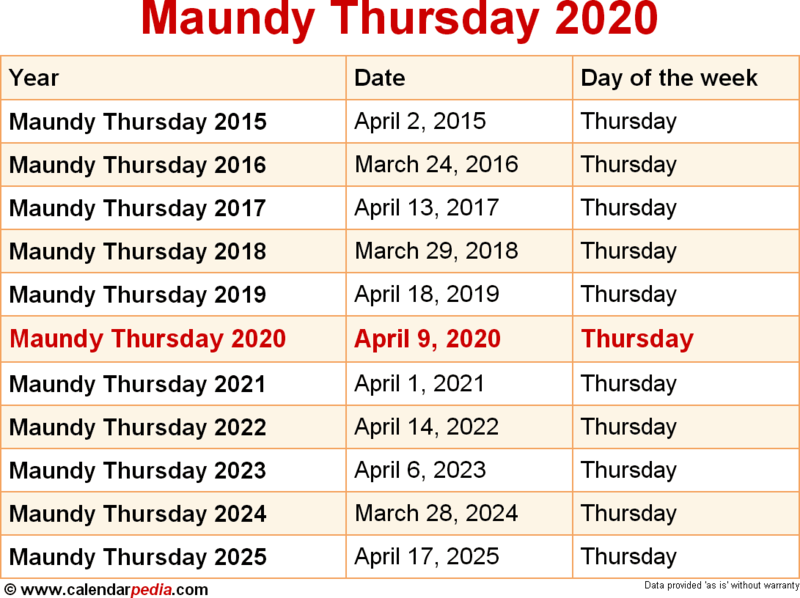 Use of the names "Maundy Thursday", "Holy Thursday" and the others is not evenly distributed. What is considered the normal name for the day varies according to geographical area and religious allegiance. Thus, while in England "Maundy Thursday" is the normal term, this term is rarely used in Ireland or Scotland in religious contexts. The same person may use one term in a religious context and another in the context of the civil calendar of the country in which he lives. The next occurrence of Maundy Thursday is marked in red.